The risks that hydraulic fracturing poses to air appear to be modest and manageable with current technologies. While the numbers may sound large, in terms of how much water it takes to fracture a well, in the grand scheme of things the percentages of total water use are quite small. 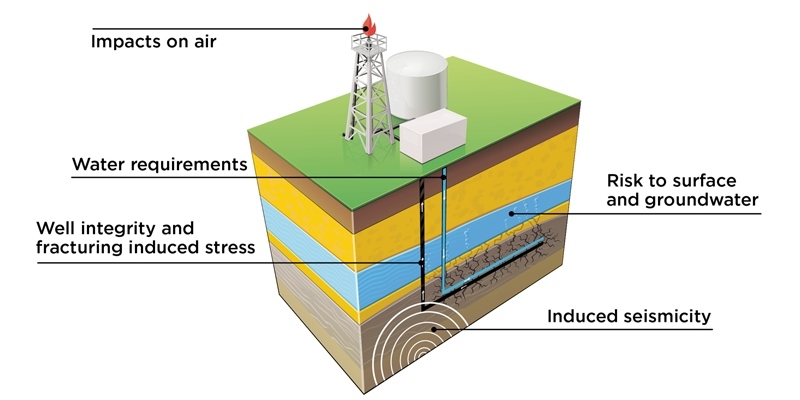 The risk of well integrity failures are similar to other areas of risk for hydraulic fracturing—the risks tend to be quite low. The U.S. Environmental Protection Agency found no evidence that hydraulic fracturing led to widespread, systemic impacts on drinking water resources. The percentage of recycled water used in hydraulic fracturing is growing.